Here's an Ultra Rare!! Original 'South African' mid 70s Pressing of What Am I Gonna Do? 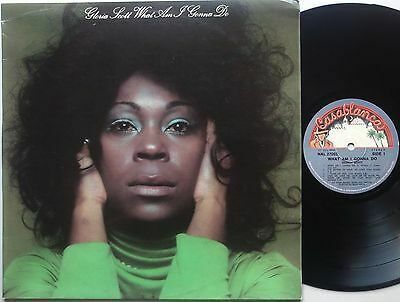 by Gloria Scott, includes (A Case Of), Too Much Love Makin, Produced by Barry White. A Really Great item for a Gloria Scott 'Fan' or Completest, no bidding warfare..just buy it now! The Cover is EX- (see pics + zoom), the front is fully laminated, light shelfware & creasing, rubbing on rear, the Vinyl is Near Mint, only faint scuffing..plays Great.